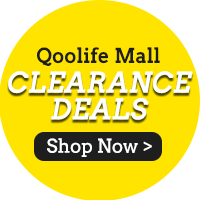 「Qoolife Mall」- [TSP] 【2Kg x 2 Packs!】SongHe 80% Thai Fragrant Rice + 20% Noble Red Rice| New Launch ! Tong Seng[TSP] 【2Kg x 2 Packs!】SongHe 80% Thai Fragrant Rice + 20% Noble Red Rice| New Launch ! No need to carry home, more convenient. Rec'd ard a wk, bgt 2 pkts of mix grain rice add on 1 btl of rice bran oil, good buy. Fast delivery. Already tried the rice and it is very very good. Much softer and more fragrant than other red rice blend. My children love it. It took nearly a week for delivery.